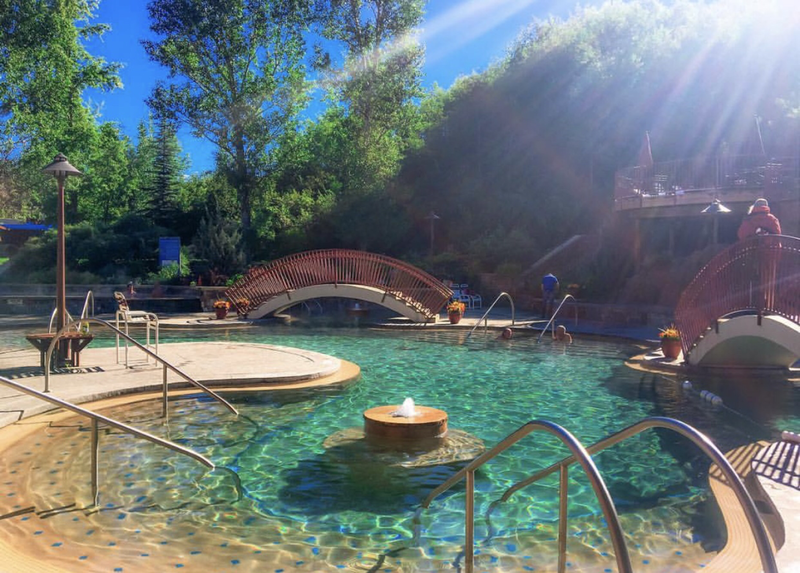 General Description: Old Town Hot Springs​ is a family destination that located along the Yampa River in the Yampa Valley in Medicine Bow Routt National Forest in Routt County, Colorado. Old Town eight outdoor hot springs pools. Old Town is day use only. This hot springs offers no accommodations. Old Town Hot Springs has a full fitness club, cafe and massage services. Accessibility: Old Town Hot Springs​ ​is accessible. You can drive up to the resort. This is a large property. It is an easy walk around the resort. The facility has handicap accessibility. Hot Springs: ​At Old Town Hot Springs boasts eight outdoor hot springs pools. The Heart Spring is an all-natural mineral hot spring that pumps approximately 220 gallons of 102-103 degree water out of the ground per minute. The water in the pool turns over every 15 minutes. The Heart Spring contains all natural minerals and is not chlorinated. The Main Hot Pool at Old Town Hot Springs has temperature ​around 98 degrees. The Main Hot Pool is treated with chlorine. The Waterfall Hot Pool is a smaller pool featuring a waterfall and 102-104 degree water. This pool has therapeutic jets to massage and it is chlorinated. The Smaller Hot Pool is 2000 gallons of hot spring water that directly gets its water from the Heart Spring. The Smaller Hot Pool is chlorinated. 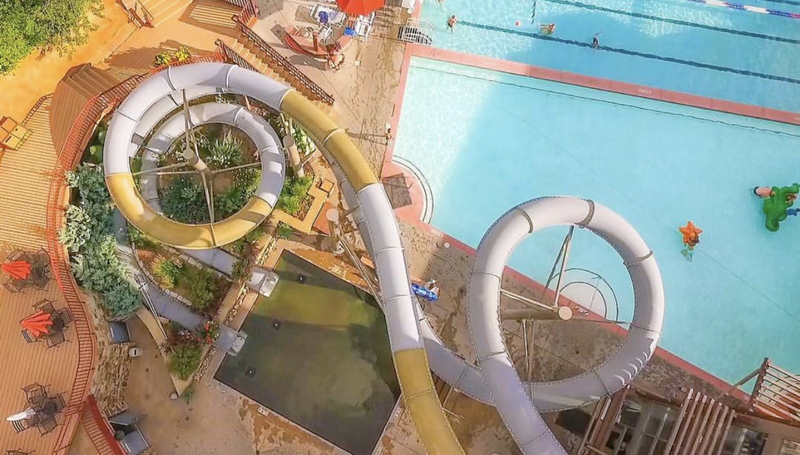 The Water Slide Pool has two exciting 230 foot water slides. The water in the Water Slide Pool is 100 degrees in the winter and 90 degrees in the summer. ​The Kiddie Pool is a large shallow pool appropriate for children and families. The pool is two feet deep and 45′ by 22′ in dimensions. The water in the pool is approximately 89-90 degrees. The Splash Pool is another family pool with activities. The water in this pool is 89-90 degrees and is chlorinated. 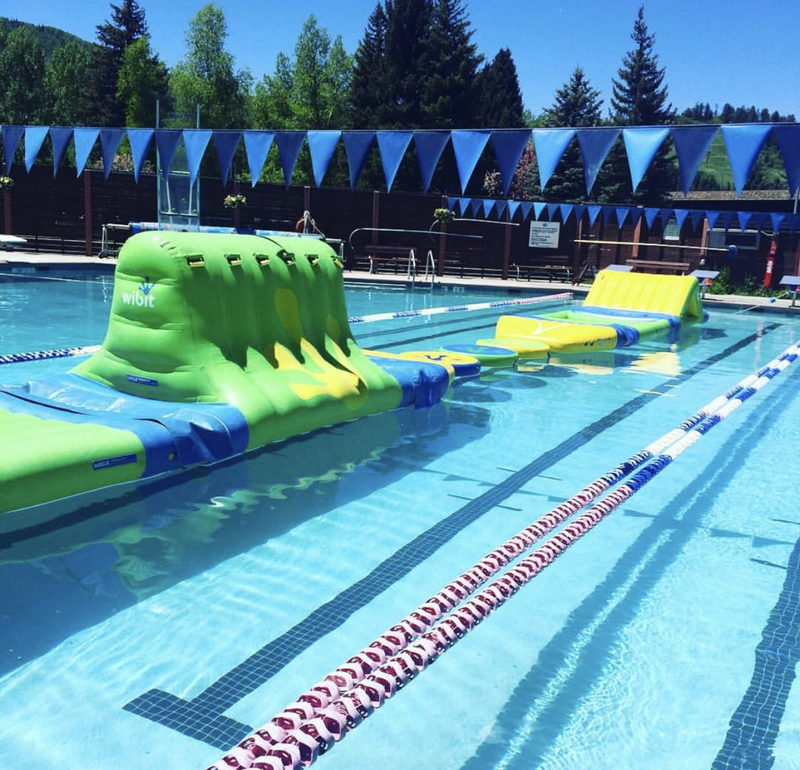 The Lap Pool is a feature the resort's health and wellness facility and it the only public swimming pool in Steamboat Springs. The pool is treated with chlorine. Clothing is required. Hot Spring Tips: ​Old Town Hot Springs is day use only. The family resort offers no overnight accommodations. All the pools are treated with chlorine besides the Heart Spring Pool. You can rent a private Cabana. Old Town offers a cafe for breakfast, lunch and dinner or snacks. The offer two amazing watersides, aquatics climbing wall, and floating obstacle course called the Wibit is set up in the lap pool during the summer on the weekends. This hot springs is not pet friendly. Old Town offers childcare. Clothing is required. Bring your bathing suit. Youtube Video on Old Town Hot Springs is below.